GOLD FEATHERS. ADVENTURES, INSPIRATION, AND OTHER LOVELY THINGS. : getting ready. we are almost ready for christmas. most of my shopping is done. the tree is up and ornamented. the wreath is made. i have been baking a lot. the presents are all piled up in the corner. they will be wrapped soon, i hope. Love the video! My favorite Christmas song. ok so what are you wearing there? 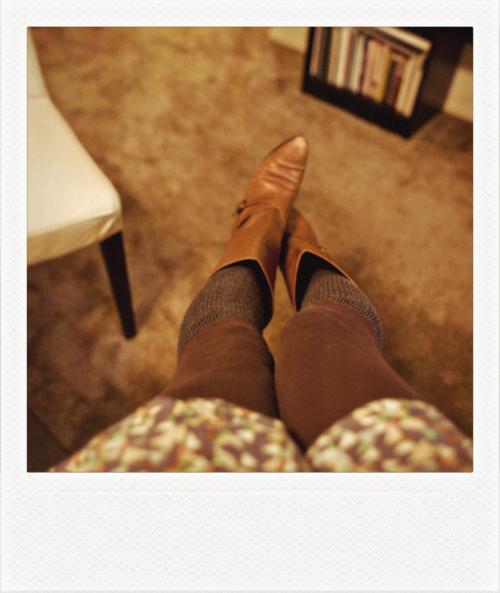 tights socks and boots? i want a full picture! :) because ive been wanting to do that but just dont think i can pull it off! like ever. miss you!! !